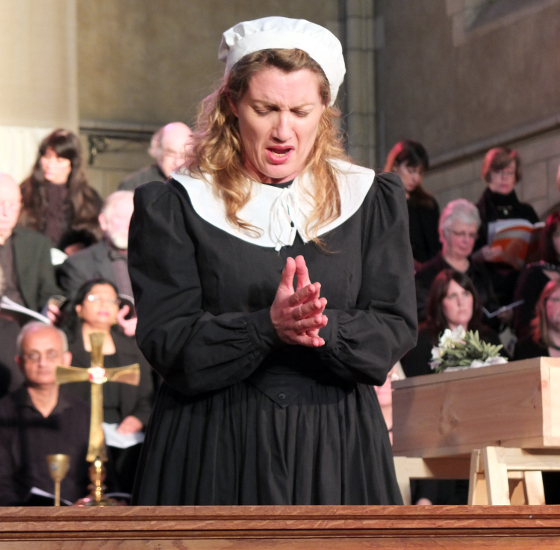 A Pastoral Messiah - Colliers Wood Chorus "
Set in rural England, A Pastoral Messiah is a tale of love, betrayal, and the grace needed to forgive. 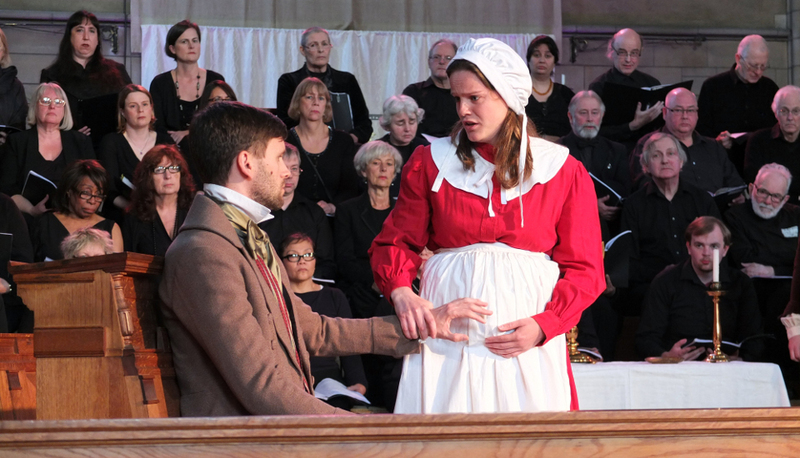 An Anglican parson and a charismatic Methodist preacher counsel the young Squire, Milkmaid and Carpenter as they grapple with sin, suffering and repentance. 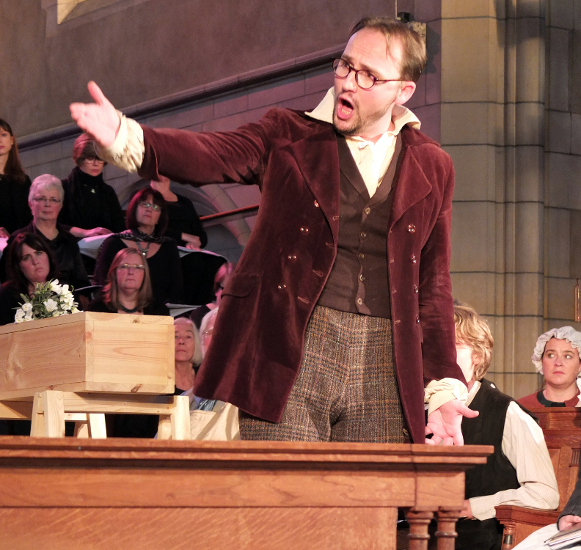 The story of the Messiah - as illuminated through Handel's music - resonates with new power for all of us. 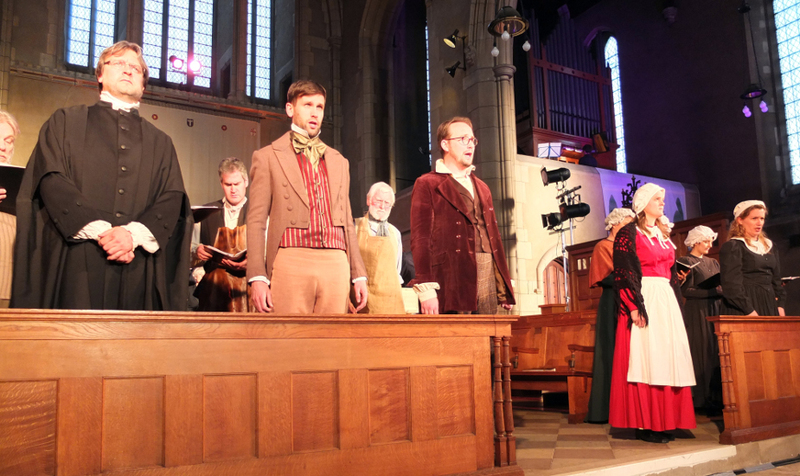 Handel's beautiful music is arranged to tell the story and sung and acted by the opera company's five principal characters and an ensemble of about sixteen "villagers", accompanied by organ and trumpet. 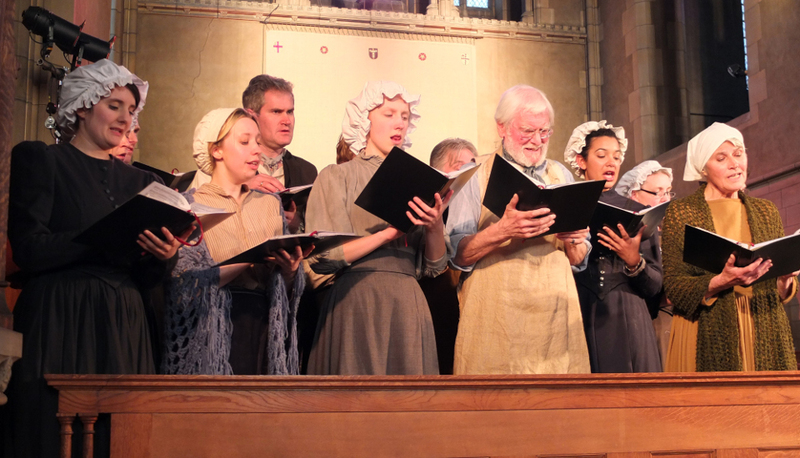 For several choruses, the "host choir" at each venue joins in, and the audience is also invited to sing some of these. 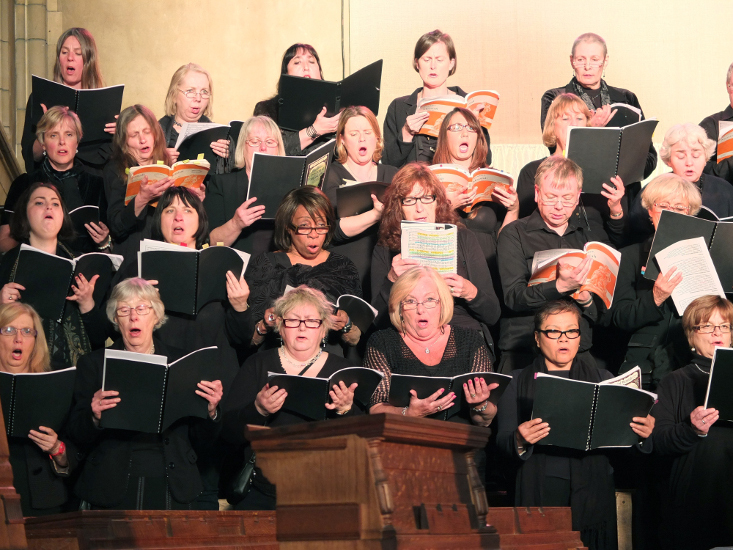 Colliers Wood Chorus was the host choir for the very last performance of the final (third) season*. 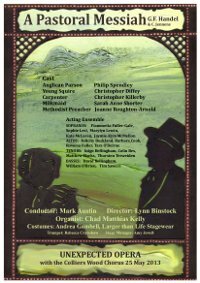 Moreover, our very own Christopher, in the ensemble and understudying in past performances, was playing the principal part of the Carpenter, and CWC member Matthew Marks was in the ensemble. Tickets were £10 in advance (£5 for children and self-declared concessions) or £12 on the door.